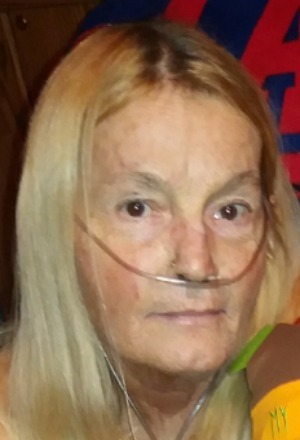 Alice M. Carlson, 55, a lifetime resident of Lancaster, passed away on Tuesday, January 30, 2018 at Lancaster General Hospital. Alice had been employed as a local car wash manager and worked at Manheim Auto Auction. Alice was predeceased by her parents, Ronald Sr. and Jane Moser, her brothers, Timothy Moser and Ronald Moser, Jr., and her sister, Gail Moser. Surviving are her long-time companion, Edward “Grizz” Dart, her sons, Richard E. Carlson, III (Becky), and Joseph Carlson, her daughter, Cheyanne Himmelgard, aunt and uncle, Robert and Roberta Potts, sister, Karen, 11 grandchildren, and many nieces and nephews. Alice was a caring and loving person and loved animals. Family and friends are respectfully invited to a memorial service on Saturday, February 10, 2018 at 1:30 pm at the DeBordSnyder Funeral Home 141 E. Orange St. Lancaster PA 17602. Our deepest condolences to the family. We are so sorry for your loss. May your loving memories of Alice help you through this difficult time. May our loving, heavenly Father, who is the God of all comfort, give you the strength and comfort that you need (2 Corinthians 1:3, Psalms 83:18). He promises us that soon, “He will wipe away every tear from our eyes and death will be no more, neither will mourning nor outcry nor pain will be anymore” (Revelation 21:3, 4). May all of His promises concerning our loved ones who have passed away give you peace.